To echo the current ad campaign by Geico, politicians lie. It’s what they do. Probably because he’s ahead in the polls, attention is currently focused on Ben Carson’s distant relationship with the truth, most interestingly his story of getting offered a scholarship to West Point. It’s a ridiculous tale given the fact that many young Americans try to get into the military academies (I applied to Annapolis), so a lot of people know the real deal. If you gain acceptance after a grueling application process — I remember a battery of physicals that took all day and having to obtain a sponsorship from a member of Congress — tuition, room and board is free. But you’re committed to serving as a junior officer for six years after graduation. “CNN was unable to independently confirm any of the incidents,” Scott Glover and Maeve Reston reported. The network tracked down several of Carson’s friends and former classmates. None remembered Carson as out of control or violent. 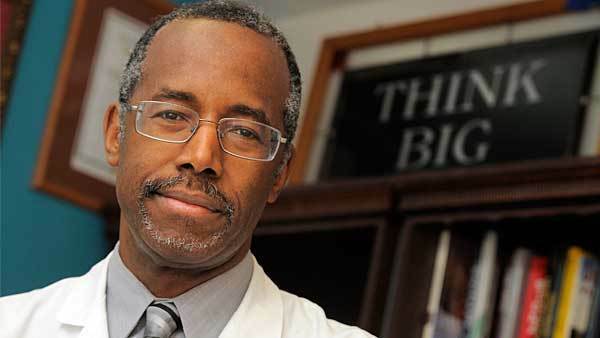 First — whether Carson told the truth or lied — why is he telling this story now, while running for president? (Among other times, he talked about it at a campaign appearance in September.) A history as a deranged juvenile delinquent isn’t something to brag about when you’re asking voters to give you nuclear launch codes. Which is my second point: Carson’s media critics are in the strange position of accusing him of not being an attempted murderer. Can it be that violence has become so normalized in American society that viciousness is now a requirement for high office? This entry was posted in Blog, Columns and tagged 2016 presidential campaign, Ben Carson, CNN, culture of violence, Lying on November 10, 2015 by Ted Rall.